In Germany, the land of Gutenberg, where book critics are as popular as rock stars and publishing houses still have an aura of the cultivated gatekeepers of culture, it’s striking that many of the recent initiatives for self-publishers have been instigated by larger publishing houses. Both the variety and popularity of these initiatives testify to the fact that German publishing is open to partnering with independent authors, while the newest initiatives in particular display creativity and a readiness to experiment to adapt to a quickly changing digital era. The newest of these projects is 100 Fans, a crowdfunding platform backed by the Munich publishing house Münchner Verlagsgruppe. Any author can launch a crowdfunding campaign for their book and if the project receives 100 or more fans, it is produced as a print and ebook (including professional cover design, editing and layout) and distributed to online shops and can be ordered by brick and mortar stores. When a book project on the platform reaches 1,000 fans, the book is not only produced and distributed; it is also included in the publisher’s catalogue and receives the same treatment as any other frontlist title, including representation in bookstores. Since fall of 2010, the ebook platform neobooks (Droemer Knaur) has offered authors a twofold opportunity. On one hand, it provides advice, distribution for their finished ebook and 70% of the book proceeds. On the other hand, neobooks also provides the chance for particularly successful books to be published with Knoer Droemer. More than 50 authors have been signed through the ebook platform, several of which have also been published in print. For instance, Dana S. Eliott’s debut Taberna Libraria quickly climbed neobooks’ sales charts, and will soon be released in paperback. epubli (Holtzbrinck): epubli, a publishing service provider for authors, academics and companies, has been growing steadily since it was founded in 2008. The Berlin-based company boasts over 10,000 published titles – either as ebooks or Print on Demand — and offers a wide range of services to its clients. In particular, epubli focuses on supporting authors throughout the publishing process. Their blog offers tips on writing, designing and marketing books, and they recently expanded their author support team with three new employees. epubli has also worked with a variety of other organizations, such as the Tagespiegel daily paper, the small publisher Propyläen Verlag and the Max Planck Institute, among others. It has also partnered with neobooks to offer Print on Demand to neobooks authors. Since April of this year, the company has expanded to offer its services to English-speaking authors. Qindie, the “author corrective,” began in May of this year as a quality label to help readers find self-published books on an increasingly crowded market. Since their spring launch, Qindie has developed a considerable network of authors, readers, reviewers, as well as service providers such as editors, graphic designers and translators. Self-published authors can submit their ebooks to the community for consideration, and whoever passes the Qindie test (ie, a majority of the current authors, readers and reviewers approve the book) may design their own author page, connect with readers, reviewers and service providers on Qindie’s active forum, and participate in a number of ongoing promotions. Qindie features giveaways, a book of the month selection, author columns and more on a rolling basis. In 2008, Bookrix.de (and Bookrix.com) started as an online book community of readers and writers, which now boasts over 500,000 members. In early 2012 the community launched a self-publishing arm. Bookrix distributes members’ ebooks to all of the major digital shops and offers authors 70% of the net revenue, as well as the chance to connect with readers in the community. Most recently Bookrix announced a new program, BookRix Selected, which will offer advances to select Bookrix authors for their next book projects. 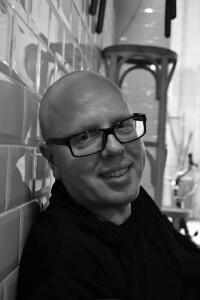 In a recent interview, CEO Gunnar Siewert explained that the Bookrix Selected authors will be supported through the entire publishing process to ensure “successful and long-term cooperation.” At the same time, Bookrix respects the philosophy of self publishing, and assures that their authors will still have creative freedom. With this new initiative, Bookrix counts itself among the trailblazers in German indie publishing: “We combine the best of both worlds and provide authors with the advantages of self publishing as well as those of a classic publishing house,” Siewert says. These different service providers show the wealth of possibilities out there when it comes to self publishing. They leverage online communities, networks of reviewers and service providers and in-house expertise to offer authors (and companies) a wide variety of alternatives to the traditional publishing routes.